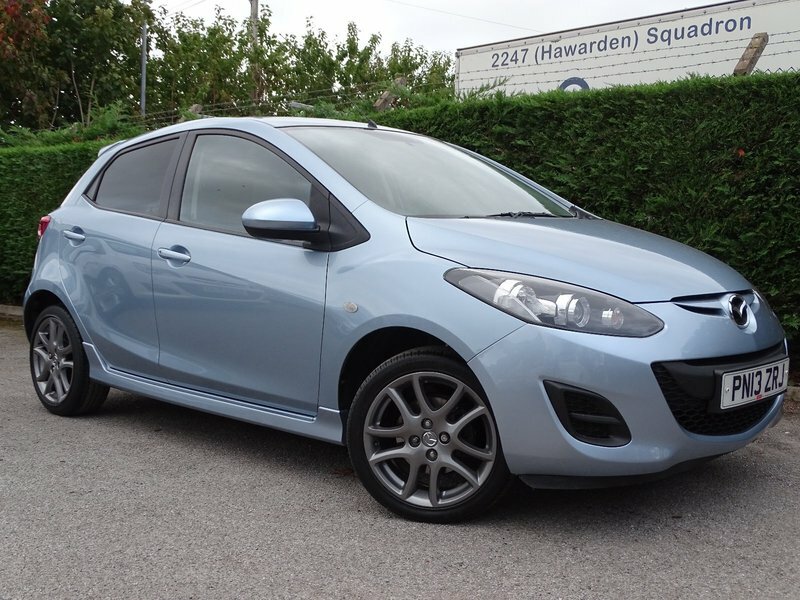 Lovely Mazda 2 Tamura, unmarked alloys in anthracite,1 owner plus Mazda, Service history: 5 service invoices, 2 keys., 12 months mot,12 months basic AA breakdown cove, 3 months Warranty and PDi inspection all included., 16in Alloy Wheels, 60/40 Split Rear Seats, ABS, Alarm (Thatcham Category 1), Body Coloured Electric Folding Mirrors (Includes Heated), CD MP3 Radio + AUX Jack, Centre Panel Piano Black with Silver Rings, Centre Rear Seatbelts, Deadlocks, Driver Airbag, Electric Front Windows (with Anti-Trap), Electric Power Assisted Steering (EPAS), Electronic Brake-Force Distribution (EBD), Front Driver Seat Lift Mechanism, Front Passenger Airbag, Front Seat Belt Pretensioner, ELR, Head Restraints Front/Rear, Heated Rear Screen, ISOFIX Bracket with Top Tether Anchor, Immobiliser, Large Tray Centre Console, Manual Air-Conditioning, Multi Function Glove Box with Magazine Rack, Rear Wash/Wipe, Remote Central Locking, Side and Curtain Airbags, Steering Wheel Audio Controls, Trip Computer, Upholstery Cloth - TS Trim-Black. 5 seats, Blue. We are a Flintshire trading standards and AA cars approved car dealer , J.M Motors have been helping customers buy quality reliable used cars in Hawarden, North Wales for over 38 Years. On site servicing and workshop facilities ensure all our vehicles are prepared to the Highest Standards. Visit our Website for a full stock list www.jmmotorshawarden.co.uk or Find us on Facebook search : JM motors Hawarden where you can read more reviews.